Safe drivers, confident in today's traffic situations, often find the amount of practice driving before the road test had made a positive difference when they took the road test. Before you take the test, it is very important that you have at least 50 hours of driving practice, with at least 15 hours after sunset. 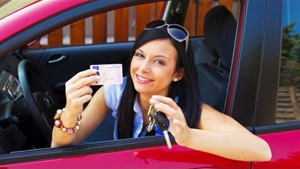 Before you can make a road test appointment, you must first complete an approved pre-licensing safe driving course. This requirement is automatically fulfilled as part of every high school or college driver education course. All other drivers must complete this requirement by taking a special five-hour course available at most professional driving schools licensed by State of New York. Student must have an MV -278 certificate at the time of road test appointment otherwise he/she will not be allowed to take the road test. Students under 18 years of age prior to taking the Road Test must present the form MV -262 in addition to the MV -278 certificate. Students must have an MV-262 certificate at the time of road test appointment otherwise he/she will not be allowed to take the road test.